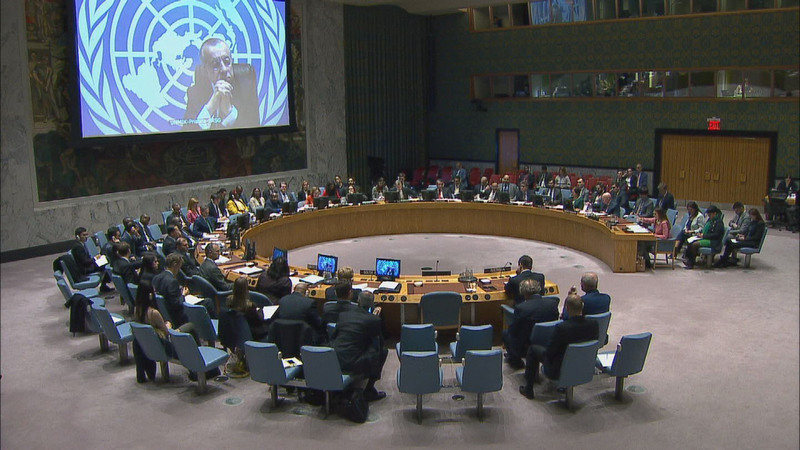 "UNITED NATIONS INTERIM ADMINISTRATION MISSION IN KOSOVO- UNMIK"
Peacekeeping chief urges Serbia, Kosovo to avoid exacerbating tensions after decision to transform security force into national armed forces at 8427th meeting. Secretary General’s Special Representative hails Kosovo local election turnout while citing intimidation, in briefing to Security Council at 8100st meeting. Welcoming Kosovo’s recent free and fair elections, the head of the United Nations mission there stressed today the need to form a new government without delay, at 8025th meeting. General Assembly approves appropriation of $6.8 billion for 14 peacekeeping operations in 2017/18 at 89th plenary.